Size: 60.50" x 52.50" x 2.25"
Create a brilliant focal point with this dazzling oil on canvas painting with a gold frame. 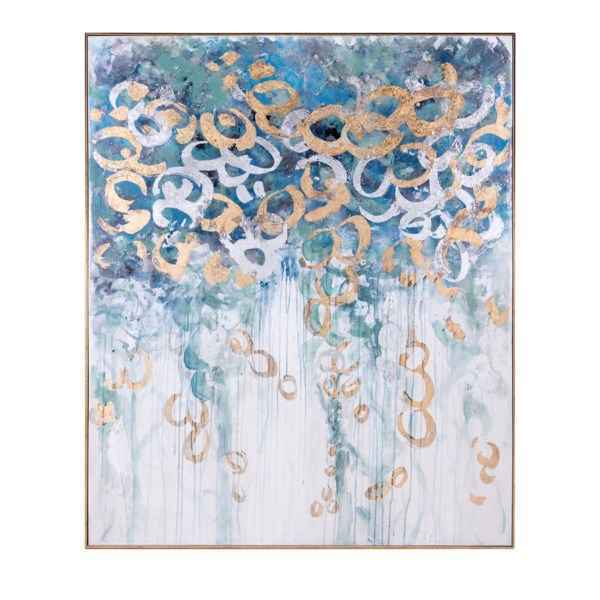 Depicting an abstract array of circles in strokes of gold and silver against hues of blue, this contemporary artwork elevates the ambience of any space. Designed to hang vertically or horizontally. 60.50" x 52.50" x 2.25"